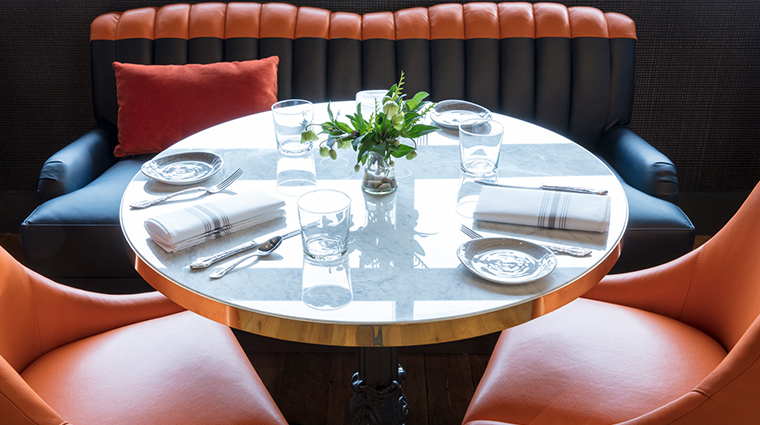 Everything in Nashville’s Hutton Hotel is geared to the professional creative. 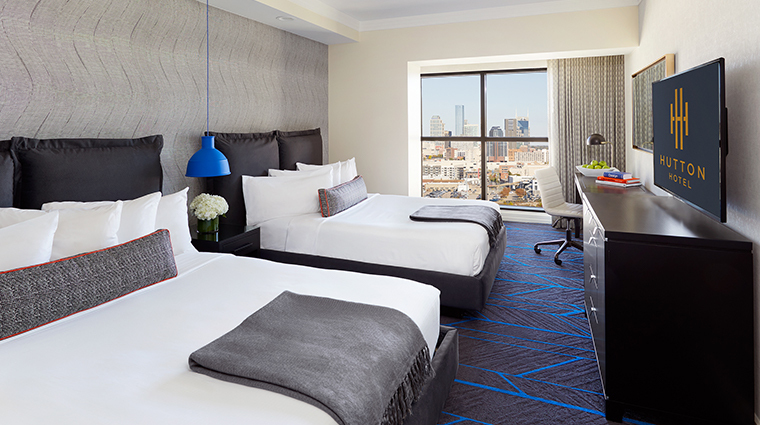 From uber-plush headboards tailor-made for late-night laptop work to studio-grade songwriter’s rooms and a central location, the Hutton is Music City’s premier working-vacation location. After a top-to-bottom refresh in 2017 by Dallas-based Studio 11 Design, the Hutton is a study in contrasts. 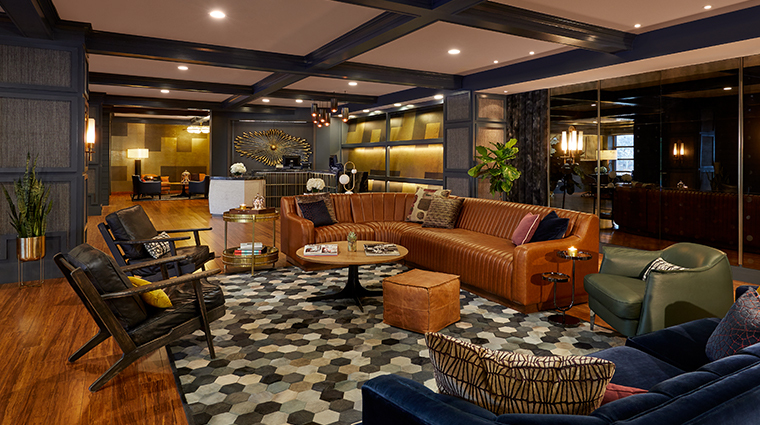 The lobby’s polished black floors offset reclaimed wood and comfortable leather, and its 250 rooms mix marble and accented colorful appliances. 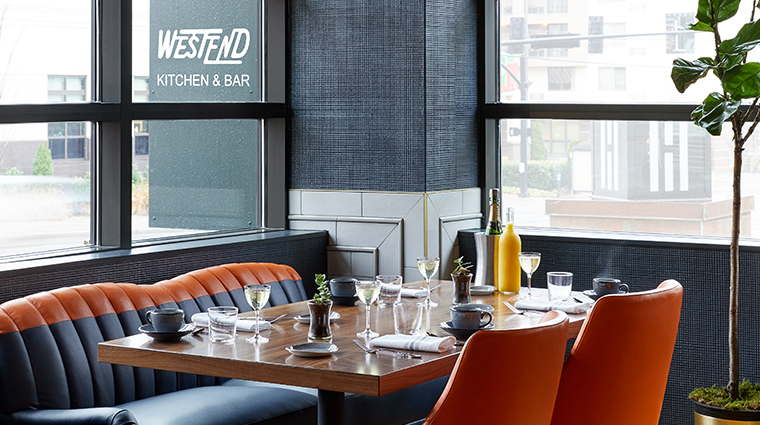 Just off the lobby, Westend Kitchen & Bar, helmed by chef Nick Hertel, blends traditional Southern cuisine with surprising twists. Baby-back ribs sport a Dr. Pepper glaze and a BLT variant features pickled green tomato and avocado. Adjoining the main building, two state-of-the-art songwriting rooms are outfitted through a partnership with country artist Dierks Bentley and OneRepublic frontman Ryan Tedder with live plants, comfortable leather couches and Edison bulbs, providing music industry professionals a great place to tuck in for a day of blissful composition. 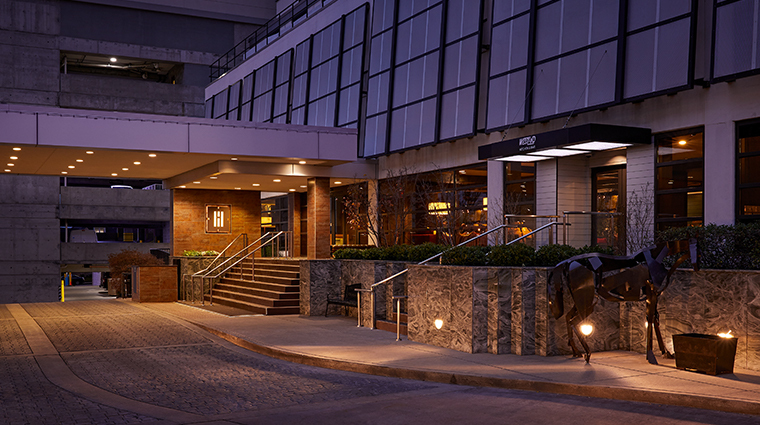 This 50-year-old building, once the tallest in Midtown, has witnessed a bustling nightlife spring up around it, and now a vibrant range of bars, eateries and galleries is easily walkable from the Nashville hotel. 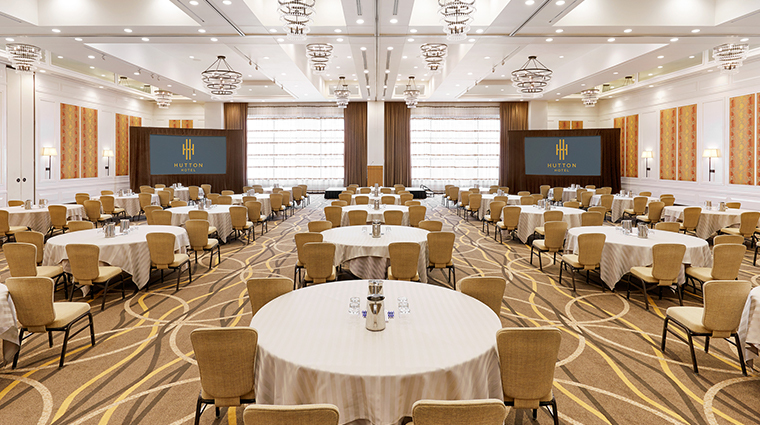 Hutton Hotel’s custom Bentley- and Tedder-designed songwriter’s rooms include soundproof booths, racks of acoustic and electric guitars and Apple computers loaded with industry-standard software, like Logic Pro, Pro Tools and Ableton Live. In-house music venue Analog, with custom-printed sound panels and a bespoke Bose system, may hold 300 of your closest friends, but its plush vintage couches, house cocktails and dim lighting make it more akin to an intimate house show playing five nights a week. Get your caffeine fix to go in the lobby’s Westend Coffee Bar, serving Parlor brand coffee (founded by a Nashville local) and freshly baked treats from Franklin, Tennessee’s Triple Crown Bakery. 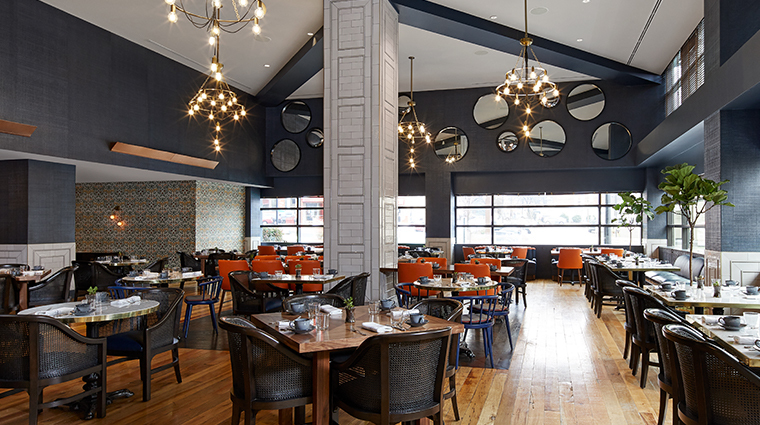 Find updated takes on mouthwatering Southern favorites at Four-Star WestEnd Kitchen & Bar, like hushpuppies with warm pimento cheese and crispy ham, or the pork chop with chèvre and polenta. As its name might suggest, the Midtown neighborhood is a short drive from some of the city’s biggest attractions, including Nissan Stadium, Bridgestone Arena and the Lower Broadway honkytonks. The summer sees an influx of tourists, including bachelorette parties. Beat the crowds with a quick ride over to East Nashville, where the city’s creative elite frequent the neighborhood’s small bars and restaurants. Bikeshare company B-cycle has stations all around Nashville, making it easy to ditch your usual ride and explore the city beyond the boutique hotel. Though if you’re traveling a little further afield, a Tesla house car keeps your stay convenient and eco-friendly. Everything from funky sheet music pop art to a blocks-away proximity to historical Music Row is a nod to the city’s lyrical legacy. 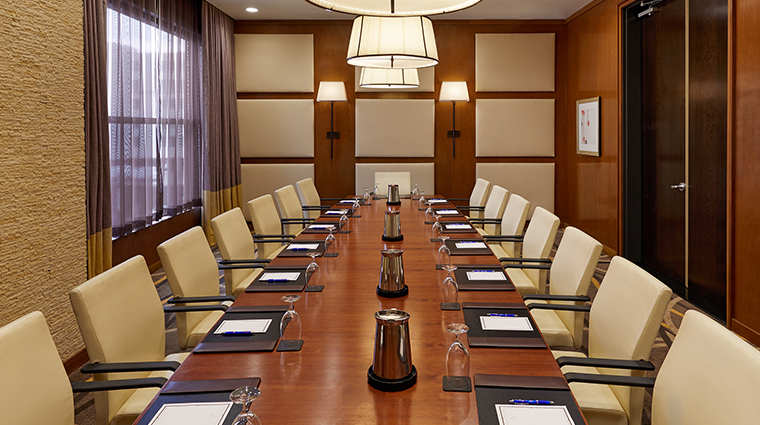 Hutton Hotel divides its rooms into Deluxe and Premier spaces, the latter of which begins after the 12th floor. Premier east-facing rooms gander at an expansive view of downtown, while west-facing accommodations look out over Vanderbilt University’s lush grounds and pastoral rolling hills beyond. Watch the walls — the subtly undulating pattern of the rooms’ paper was custom-designed to mimic sound waves in a nod to the city’s musical history. The Hutton Suite, the luxury hotel’s top space, spans two floors and connects three bedrooms (two kings and a double queen) to a six-seat dining space, a double-height living room and a floor-to-ceiling marble fireplace. A private entrance, a fully stocked bar and on-call use of the hotel’s Tesla Model S are just a few of the suite’s other VIP perks. Squeeze behind a table at Robert’s Western World, where couples two-step as the world-class house band incubates future country stars. At Tootsies Orchid Lounge, don’t be surprised to hear Johnny Cash, Shania Twain and Keith Urban in the same set as musicians pull from the genre’s decades-old repertoire. Acme Feed & Seed has four themed floors, with a honkytonk, a lounge, an event venue and a rooftop bar providing a scene for everyone. Try one of the 28 beers on tap or sample eclectic Southern fare, like the smoky redneck lo mein. 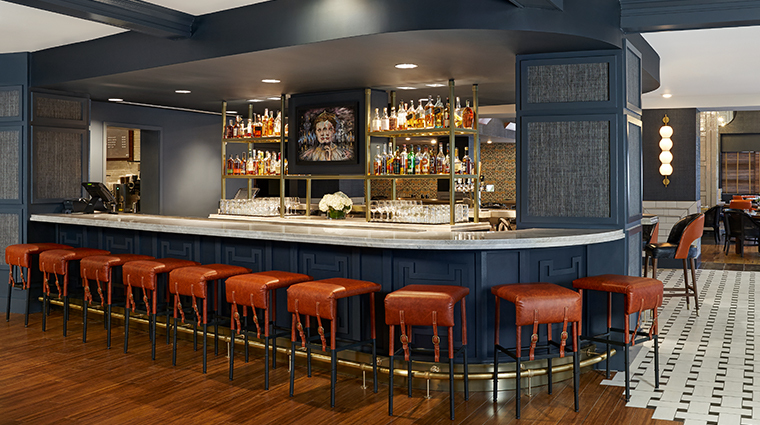 Members-only The Spot can be hard to find — and harder to get into — but this second-story bar allows Nashville’s elite a chance to rub shoulders over relaxed drinks with a balcony view over Lower Broadway’s sweaty chaos.